Will the cost of the new Forbidden Frontier attraction at Cedar Point reduce income in 2018? Forbidden Frontier is scheduled to open in 2019. 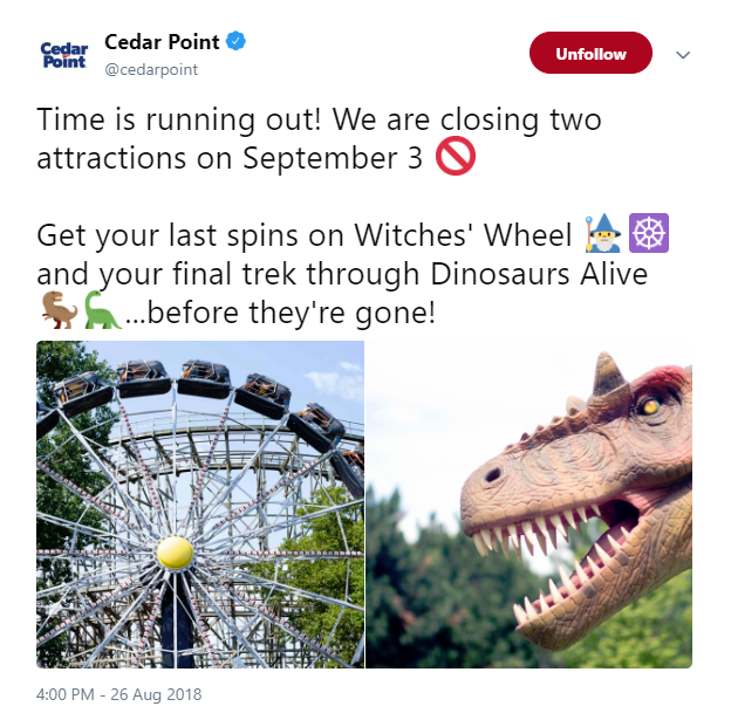 Dinosaurs Alive and Witches’ Wheel closed permanently in September 2018. You are the vice president of rides and attractions at Cedar Point. Assume that Forbidden Frontier will cost $5 million to construct in late 2018 and that the attraction will open in 2019. Will your 2018 division income contain an expense of $5 million for the construction of Forbidden Frontier? Explain. As part of management for Cedar Point, why is it important to understand expense recognition principles? What general ledger account will the initial cost of the Forbidden Frontier attraction be posted to? What financial statement does that general ledger account in #3 appear on? These resources are provided to give the instructor flexibility for use of Accounting in the Headlines articles in the classroom. The blog posting itself can be assigned via a link to this site OR by distributing the student handout below. Alternatively, the PowerPoint file below contains a bullet point overview of the article and the discussion questions. Dr. Wendy Tietz is a professor of accounting at Kent State University in Kent, Ohio, USA. She is also a textbook author with Pearson Education. I am using these in a HIgh School Classroom. Do you post your thoughts on the questions? No, I do not. Two reasons: 1) The questions are meant to be discussion generating and I don’t want to limit discussion by presenting one answer; and 2) Many instructors use the blog posts as graded assignments.